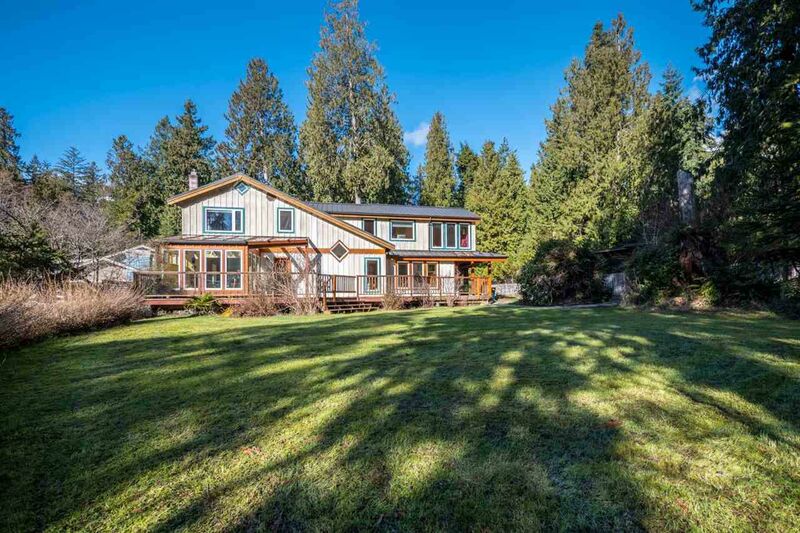 Own a Beach Avenue property in this prestigious area of Roberts Creek! This 1.48 acre property consists of a main house having 3 bdrms and 3 baths, dble carport w/elec. car charger, attached workshop. The second is a lovely cottage with 2 bdrms and 4 pce. bath. surrounded by beautiful gardens. The rear yard touches onto a creek with a forested area to explore. Throughout are accents of wood, exposed beams and feature tile work. Spacious decks, beautiful glass covered, heated, stamped concrete patio accessed through the dining for extended entertaining. Feat. incl. hardwood flrs, sauna w/outside shower, on-demand hot water, built-in vac., built-in ironing board, n/gas outlet for BBQ/potential outside kit & so much more.